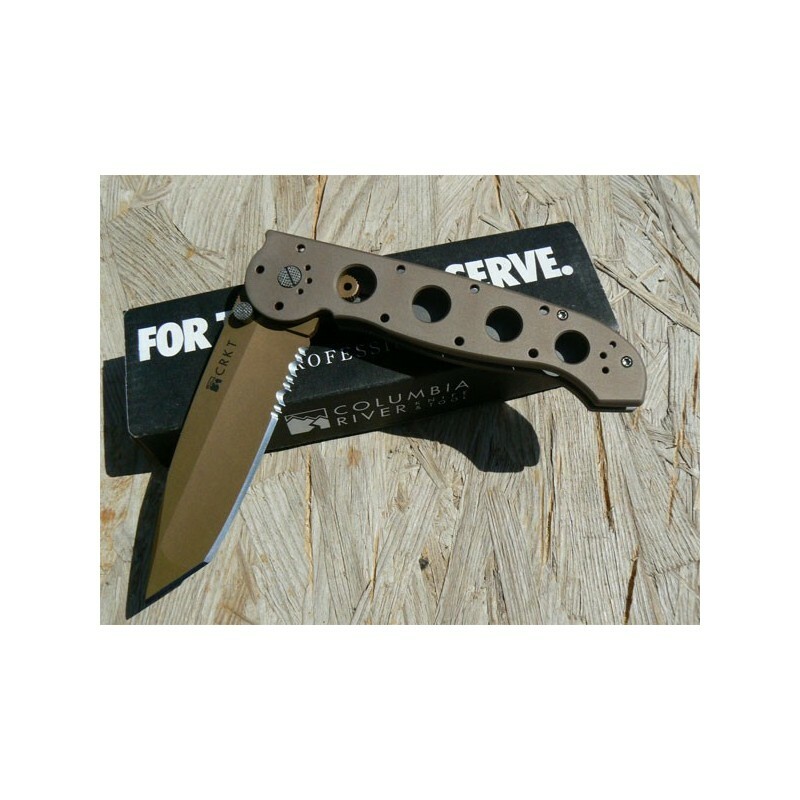 CR14D CRKT M16 Big Dog - Desert Tactical Series. 5 1/4" closed linerlock. 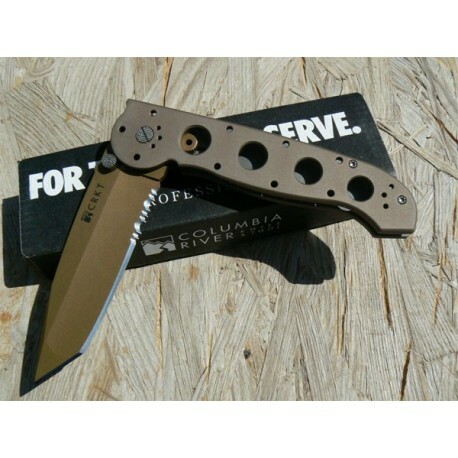 Partially serrated AUS-8 stainless tanto blade with ambidextrous thumb studs and desert tan titanium nitride coating. Desert tan anodized 6061-T6 aluminum handles. Includes two clips, hardware and a Torx tool to allow four position carry. Features LAWKS safety system.